The C.R.A.R.C. 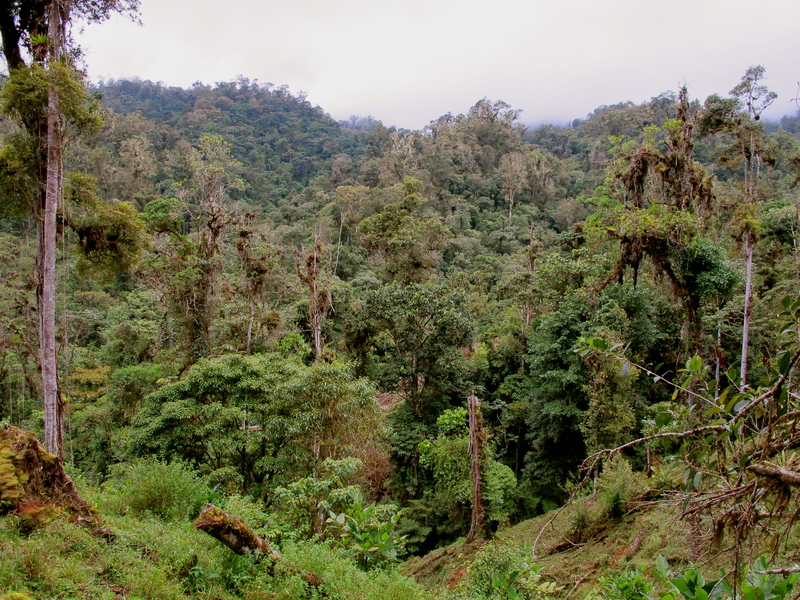 recently purchased another smaller property up in the remote and poorly studied mid-elevation cloud forests of the Caribbean slopes of Talamanca. This property was purchased with the purpose to have a base to conduct detailed studies on the amphibian species in one of the remaining least known and studied regions of the Costa Rica. The Río Vereh Cloud Forest Reserve has at total area of 18 hectares (45 acres). Despite its smaller size, this reserve is connected to hundreds of thousands of hectares solid forest. The Río Vereh Cloud Forest Reserve borders the Vereh River and several adjoining protected areas, including the Macho River Forest Reserve, Tapantí National Park, Chirripó National Park, and La Amistad International Park. The Río Vereh Cloud Forest Reserve has an altitudinal range from 1380–1625 masl. We are currently conducting detailed amphibian inventories in the reserve and surrounding area in attempt to learn what species inhabit this region. We are optimistic that our efforts will result in the discovery of numerous species of special importance, potentially including some Critically Endangered amphibians that have disappeared from most of their historically known sites. A view of the cloud forest up at the C.R.A.R.C. Rio Vereh Cloud Forest Reserve.